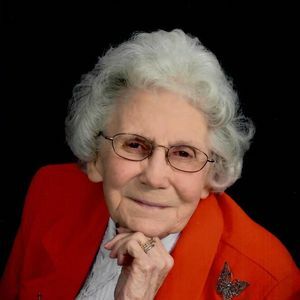 Catherine Sutherland Parker, passed away on Saturday, March 16, 2019, in Ponchatoula, Louisiana, at the age of 90. She was born on Monday, September 24, 1928, in Brookeport, Illinois to the late William and Ellen Jones Sutherland. She was a resident of Ponchatoula, Louisiana. Catherine loved working at the First United Methodist Church of Ponchatoula and she was active in the Louisiana United Methodist Cursillo Movement, United Methodist Women and Scouting. She catered weddings, enjoyed cooking for others and sewing. Catherine is survived by her daughter, Mary Elizabeth Parker Core and her husband George; son, Walter Lee Parker Jr. and his wife Shirley; son, David William Parker; granddaughters, Joice Ellen (Jeremy) Holden, Estelle Irene (Wes) McCarty and Harriet (Jeremiah) Chamberlain; grandsons, Walter Lee (Katie) Parker, III, Stephen David (Tiffany) Parker and Marc William (Kristy) Parker; 12 great-grandchildren as well as numerous nieces, nephews and cousins; and many friends. She was preceded in death by her parents, William and Ellen Jones Sutherland Welch; husband, Walter Parker Sr.; sisters, Ione Jannie Sutherland and Betty Schafer; and brother, Nolan Sutherland. Relatives and friends are invited to attend the Celebration of Life Ceremony at the First United Methodist Church of Ponchatoula, 201 E. Pine St., Ponchatoula, Louisiana 70454, on Saturday, March 23, 2019 from 9:00 am until the Funeral Service starts at 11:00 am. In lieu of flowers, memorial donations may be made to the First United Methodist Church of Ponchatoula for the Louisiana Children's Home. May you Rest In Peace you sweet angel. I'm sorry for your family's loss, we will keep your family in our prayers. Loved this sweet lady, she was always very gracious to me. Rest peacefully in Heaven Ms. Parker. I will always remember Mrs. Kitty's kindness, grace, and love for her family. Our thoughts, love, and prayers are with you all! Aunt Kitty was always such a loving and kind person. She had a positive influence on everyone that was fortunate enough to know or meet her. She is now happily beside Uncle Walt in Heaven with God. Rest in PEACE Aunt "Kitty"
"Den Mother" when "Buster" & I were in the Boy Scouts!